From beginners to experienced riders, All Around Training Center offers riding lesson in both English and Western disciplines. 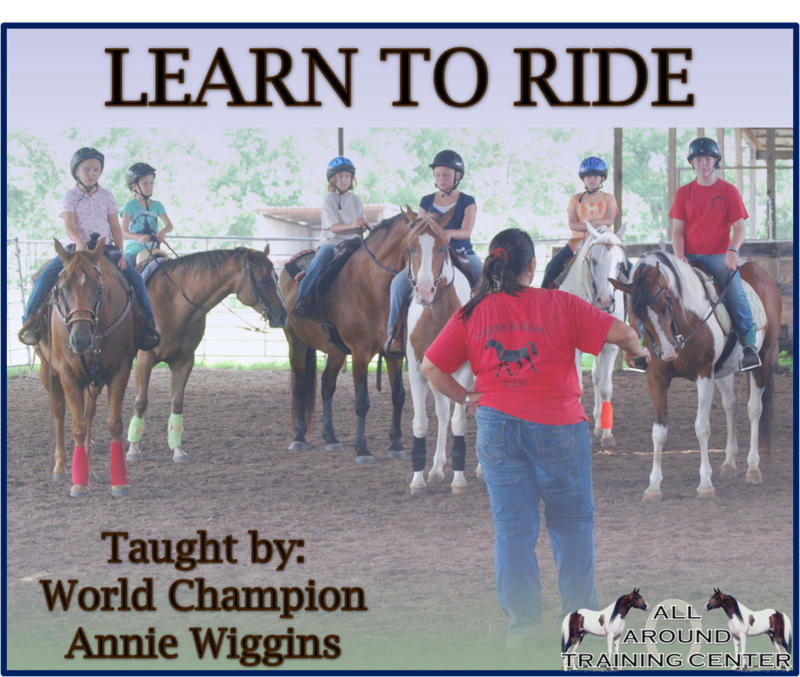 Taught by Annie Wiggins, each rider receives customized instructions to enhance their riding skills, learn how to control their horse's movements, and the ability to compete in a variety of shows and competitions. Classes are offered in Group Sessions and/or Single Rider Sessions. Please contact us for pricing information and availability of rider openings.